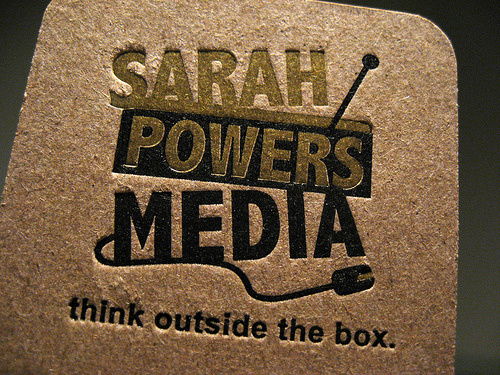 We printed the cards in chartreuse and black ink which stood out pretty well over the kraft paper. We also rounder the corners to soften the look of the card. Letterpress business cards printed by Dolce Press.